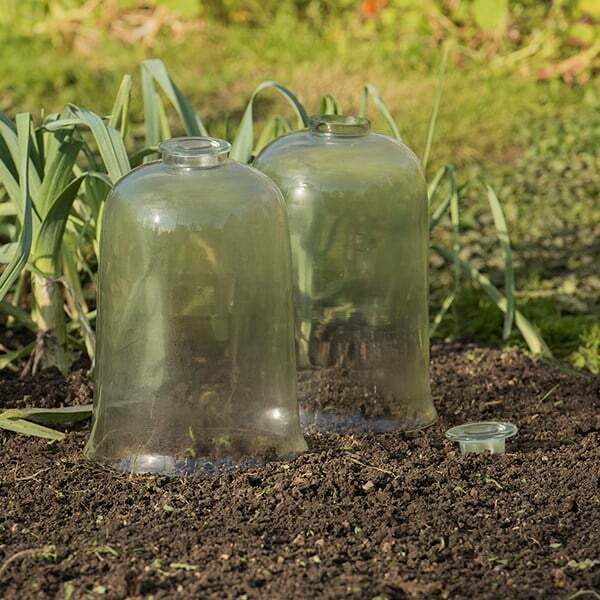 Glass bell jar cloche with a green glass stopper. Remove on warmer days to improve airflow and ensure plants don't overheat, and keep in place on colder days to keep them well insulated. 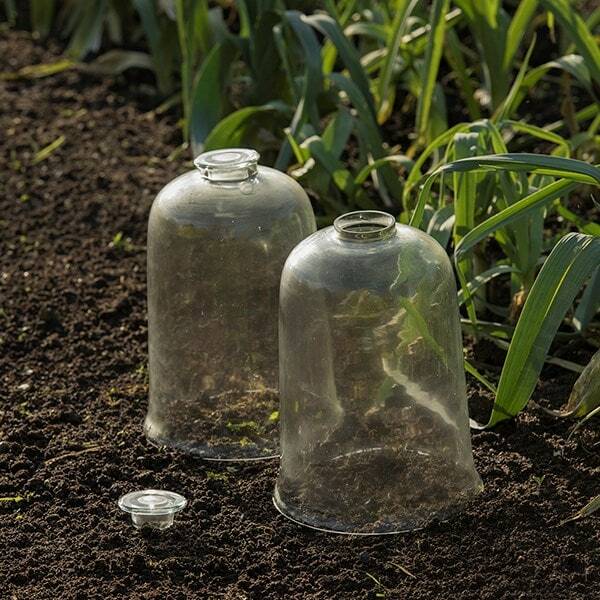 Please note: dimensions may vary slightly as these cloches are individually hand blown. Handle with care and site away from areas where it may be knocked.